I love when I can decorate for a season or holiday! I spent some time this past weekend getting out my fall and Halloween decorations. I try to stick to general fall decor so I can use it longer (through Thanskgiving), but sometimes I can't resist a little Halloween fun! 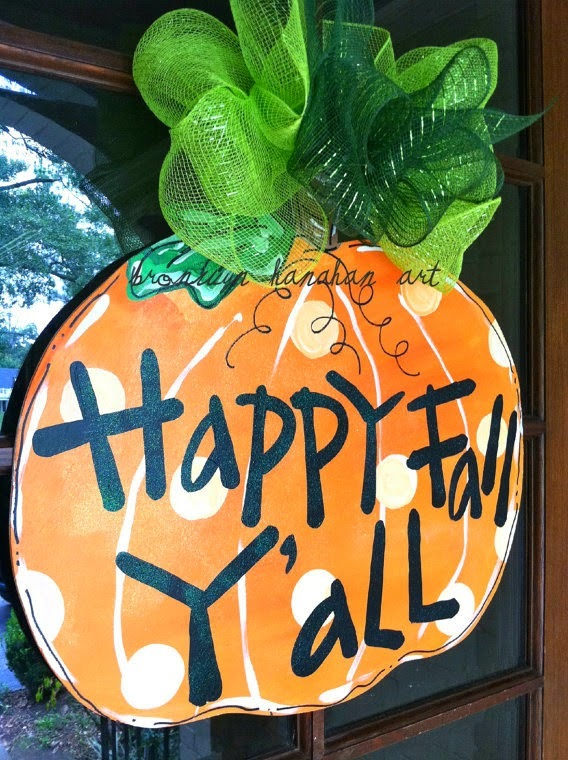 I've had this "Happy Fall Y'all" door piece for a few years now and love it. I also got one of her Christmas ones for our backdoor instead of a wreath. This year I also got a few of these colorful Halloween pumpkins for around the house. You could easily DIY them, but they were just $3 which is worth it to me-I can only imagine the mess I would make with paint, glitter and glue. Besides Target I get a ton of decorative items at Hobby Lobby. If you shop right you can save 30-50% off! I never (rarely) buy anything full price there. 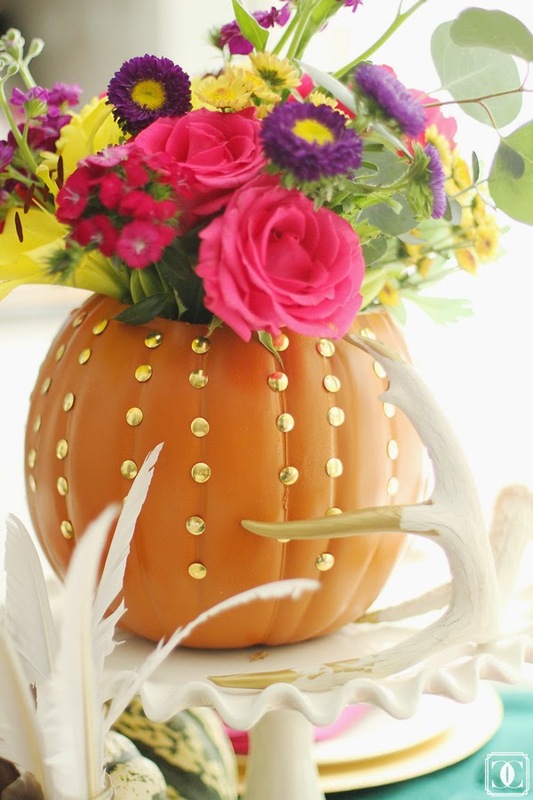 I would love to try this DIY pumpkin vase that Mallory did, just not sure if I'll find the time! How gorgeous is it?! What are your favorite fall decorations? That pumpkin vase is so cool! It looks pretty time consuming which goes back to why I don't do DIY's and would rather spend the money and just buy it!